Oh la la, fall color is making a real splash at elevations above 3,500 feet in the mountains around Asheville, NC, this week, with peak color set to arrive at those elevations over the next few days. Meanwhile, here inside Pisgah National Forest at 2,300 feet, the fall foliage is starting to quickly dominate the landscape in some parts of the forest (as you can see from our cover photo of our labyrinth taken on Oct. 16). Places above 5,000 feet, like Grandfather Mountain and Linville northeast of Asheville and Graveyard Fields southwest of Asheville are reporting areas close to peak. That color should migrate down the mountains and put the Asheville area right on schedule for peak time between October 21 and 31. We aren’t seeing much leaf drop either from the early changers (sourwoods, dogwoods, birch, etc. ), which could very well mean fuller color between now and the end of October, when the many varieties of maples and oaks take their turn on the fall color stage. Fall Color Waterfall: While many areas with waterfalls, such as Dupont State Forest and Highway 276 southwest of Asheville are seeing good color developing, we’re going to stay north of Asheville and recommend Crabtree Falls, which is a moderate hike off the Blue Ridge Parkway at Milepost 339. 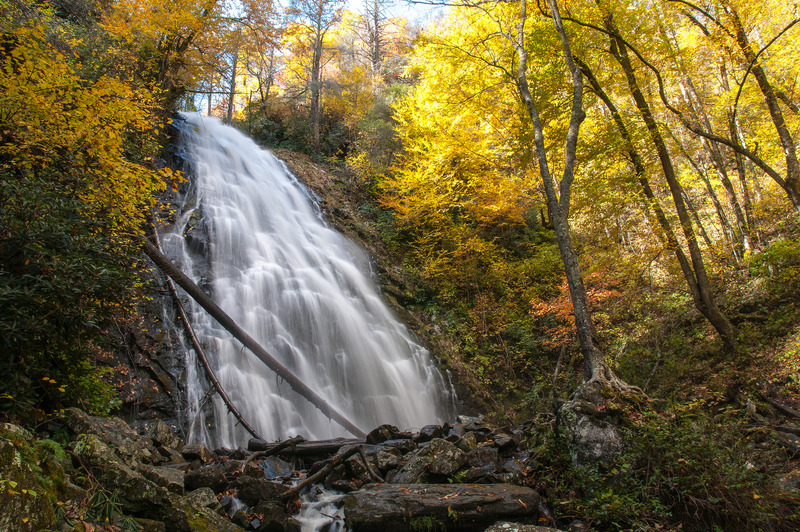 Our friends at Romantic Asheville have a great description and photos of the trail and waterfall. Keep in mind that you will be hiking downhill at the beginning, and uphill at the end regardless of whether you return the way you came or continue past the waterfall to complete a loop. The loop is much steeper. Walk in the Woods: This week’s Walk in the Woods hike recommendation is Rattlesnake Lodge, a very pretty, almost-three-mile destination hike. 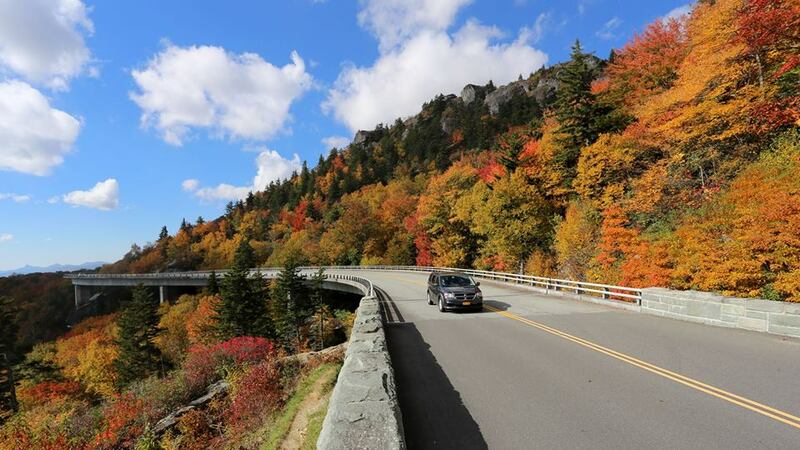 It’s above 3,000 feet in elevation and you can get to the trail’s parking area on Ox Creek Road by taking the Blue Ridge Parkway and traveling just six miles north of Asheville. 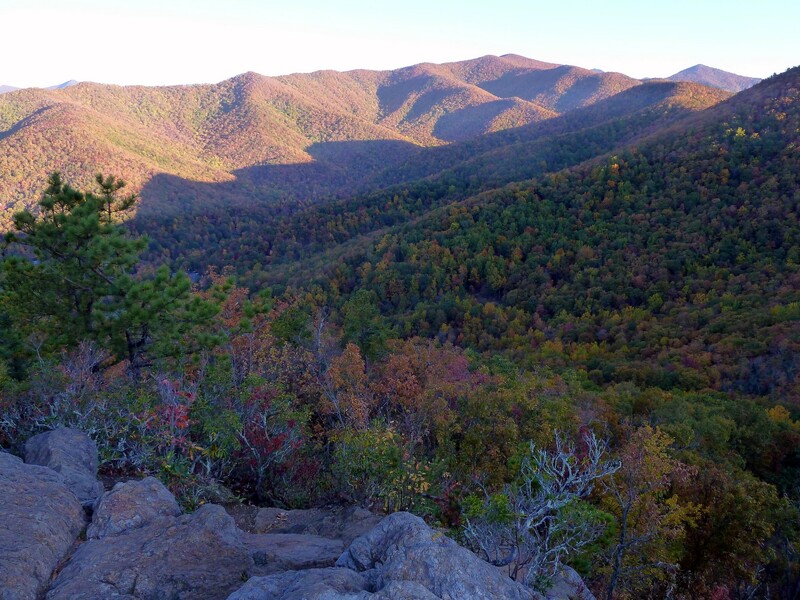 Due to the many tree species in this area, you’ll see some beautiful variation in fall color on this hike, which is also part of the greater Mountains-to-Sea Trail through the state of North Carolina. To a View: Our suggested hike for getting to a spectacular mountain view is the Lookout Mountain Trail in Montreat, a community that borders the town of Black Mountain, just 15 minutes west of the Inn on Mill Creek. Lookout Mountain Trail is a moderate out-and-back trail through a beautiful wooded area, and has a great view of the Black Mountain range from a rocky outcropping just below the summit at more than 3,600 feet in elevation. The views on the way back are outstanding as well, and will make you wonder why you didn’t turn around more often on the way up! The trail is a little over a mile (total out-and-back distance), so if you want a longer alternative, check out the Graybeard Trail, also in Montreat. 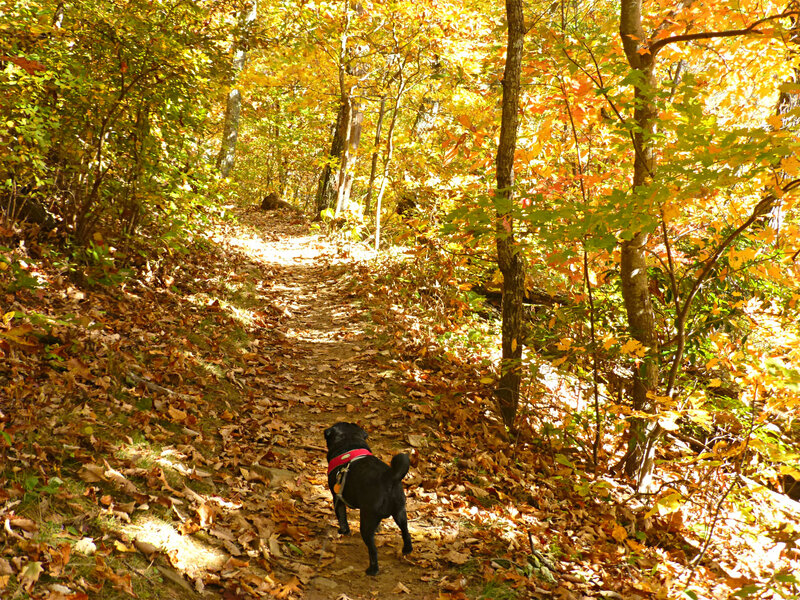 This entry was posted in Fall Color Reports, Fall near Asheville, Hiking and Waterfall Trails and tagged Asheville, Autumn / fall foliage, Blue Ridge Parkway, fall foliage, hiking, outdoors, waterfalls by Inn on Mill Creek. Bookmark the permalink.